We tend to think of cancer as a disease that strikes older people, but even children can be susceptible. Retinoblastoma is a rare form of eye cancer that is most commonly found in children, but it can be detected easily with an eye exam. In many cases, the child is born with the condition, due to problems with the eye’s development while in the womb. The good news is, retinoblastoma is one of the most commonly-treated and survivable of childhood cancers. While it can present a serious threat to the child, the survival rates are upwards of 95% with treatment. When caught early, it doesn’t have to threaten a child’s life. The most common symptom of retinoblastoma is unusual reflections in a child’s pupils. When photographed, an infected eye will often seem to have the same “eyeshine” you sometimes see in cats, owls, or other night-sighted creatures. Or, one eye may show “red eye” in flash photographs when the other does not. Runny or bloodshot eyes, squints, or even crossed eyes can also indicate retinoblastoma. However, these symptoms are common to many eye disorders – only a proper eye exam will be able to tell for sure. Today, there are a wide variety of techniques for treating tumors in the eyes. In cases of smaller tumors, there are options for using either lasers or cryotherapy (freezing) to remove the tumor without disturbing the eye. Chemotherapy is another option, although preferably avoided due to its side effects. In advanced cases, where the blastoma was not caught early on, removal of the eye may be required. While eye doctors certainly want to preserve the child’s eyes, when possible, advanced tumors may not allow for it. 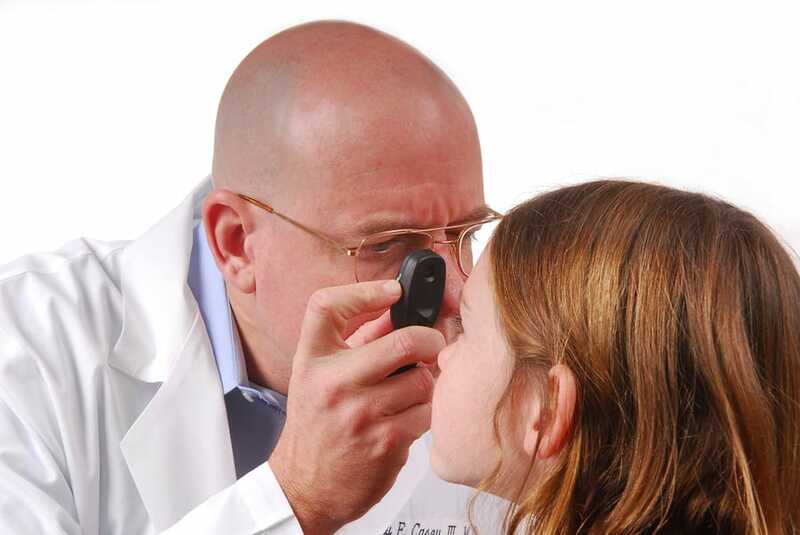 In most areas, retinoblastoma screenings are part of a child’s first-year health care schedule. However, if you have a young child who has not had a professional eye evaluation yet, we strongly recommend a screening with your Phoenix optometrist. Retinoblastoma is only one of many childhood eye diseases that can be caught in time for treatment, with an early eye exam.